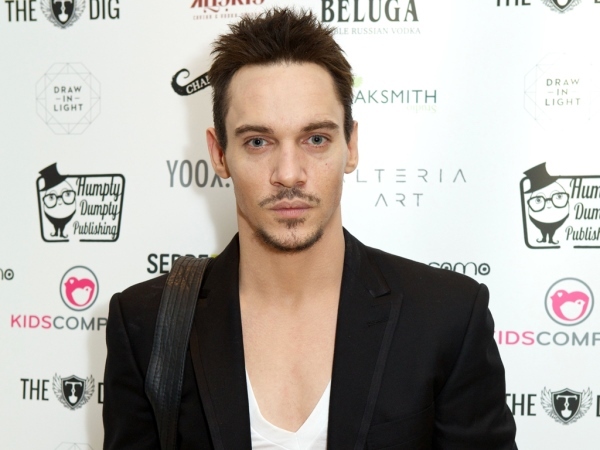 Jonathan Rhys Meyers has thanked fans for their support following his recent alcohol relapse. The Irish actor was pictured stumbling around London earlier this month, looking dishevelled and sipping from a bottle of vodka. Jonathan has publically battled alcohol addiction in the past and has had several rehab stays, with the shocking images causing fans to worry for his health. The star has now taken to his partner Mara Lane's Instagram account to say sorry for his behaviour. "Mara and I are thankful for your support and kindness during this time. I apologizes for having a minor relapse and hope that people don't think too badly of me (sic)," he captioned a shot of Mara smiling up to the camera. There were whispers that his behaviour had stopped him attending this year's Cannes Film Festival to promote new movie Damascus Cover, but he took the opportunity to clear up these rumours. "I stopped drinking immediately and it is no reflection on Damascus Cover as I was not meant to attend Cannes this year and I apologize to fans and colleagues. "I am on the mend and thank well wishers and sorry for my disheveled appearance as I was on my way home from a friends and had not changed I feel I made a mistake and feel quite embarrassed but this was just a blip in my recovery otherwise I'm living a healthy life. Love and blessings. #Rebel #Angel (sic)," he wrote. Last year the 37-year-old spoke about his wild past, but said he was over that now. Fans have rushed to offer him their well wishers and thank him for sharing the post.